Alright, yesterday we gave a lot of heat to the guys for being hard to shop for. Now that you have some great ideas for them, we have to admit that girls aren't so easy to shop for either. If you're a guy looking for something for your girlfriend, wife, sister, or mother, might we recommend some of these? This necklace is both edgy and classic - a great piece that she'll have for years that defies trends as they come and go. I own these booties in a taupe suede, but I've got my eye on this black pair after getting so much wear out of my first pair. These look great with jeans, leggings, or skirts. The ultimate bag in the perfect shade of grey - she can use this every single season with any outfit. If a shiny new iPhone is at the top of her Christmas list, make sure she's got a case to keep that precious new possession protected. Every girl needs a leather jacket in her closet. This one's budget friendly but not lacking in the style department. And for the girl who has it all, stationary is always a safe bet. We love this black and gold set that comes packaged in a gift ready box - for all you wrapping challenged men out there.  PS - Don't forget to listen to the Seventeenth and Irving Very Merry Holidays playlist while wrapping up your gifts!